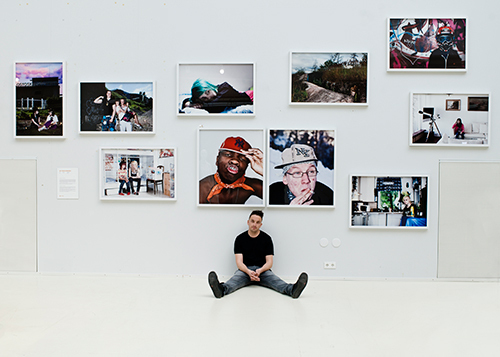 Aki-Pekka Sinikoski is known as a multi-faceted portrait photographer who’s works has been exhibited both in Finland and internationally. As a documentarist his best known photo series are Finnish Teens, MJ, and Last Machos. Sinikoski has also worked as an executive producer and curator of the Helsinki Biennale exhibitions since 2006. Sinikoski often describes his artistic photo production methods as lengthy and time consuming. According to Sinikoski this is because of the exceptional scope of the documentary series but also due to his wish to capture the passing of time. He is not looking for decisive moments but rather the stagnant feeling just after these moments. Sinikoski has studied in Kunstakademiet at Kunsthøgskolen i Bergen, Norway and graduated as Master of Art from the Department of Media at Aalto University, Finland. 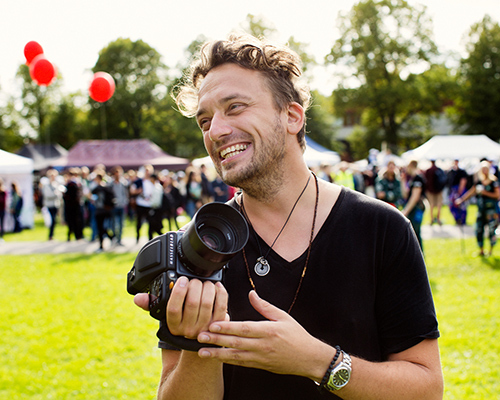 His major subject is from the Aalto University's Institution of Photography and his minor subject from the Aalto University School of Business. During the years Aki-Pekka Sinikoski’s artistic work has been supported by Svenska kulturfonden, Suomen kulttuurirahasto, Taiteen edistämiskeskus, Patricia Seppälän Säätiö, Lehtikuvaajarahasto, and Konstsamfundet.